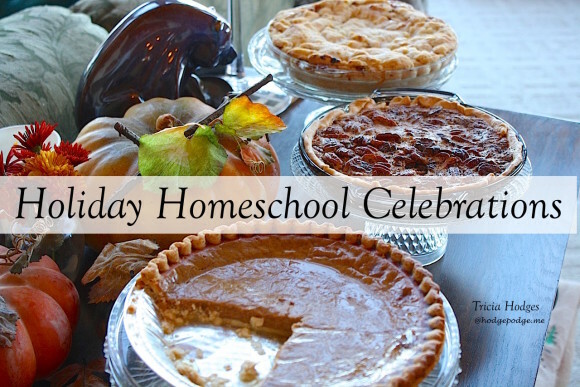 Over the next weeks we will be enjoying a few, long-standing homeschool habits – those holiday homeschool celebrations. With both Thanksgiving and Christmas coming up, our schedule is a little different. 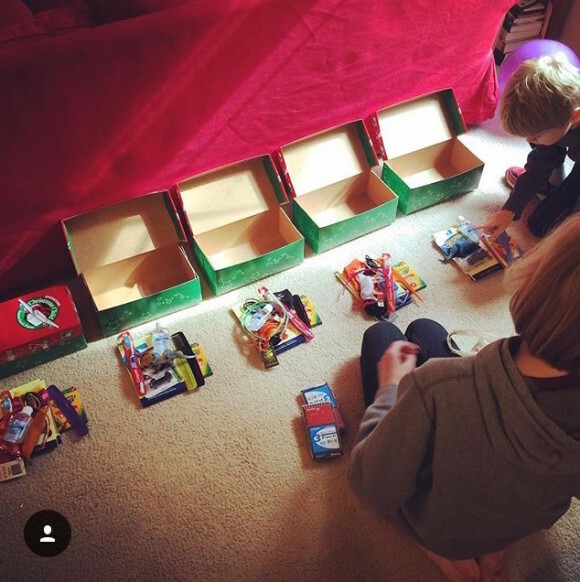 Not only because are involved in several activities at church and in drama productions, plus blessed with family times but also because it is a perfect time to change up the schedule. We can focus on Thanksgiving then the Advent season. The affiliate links included are for resources we absolutely love. 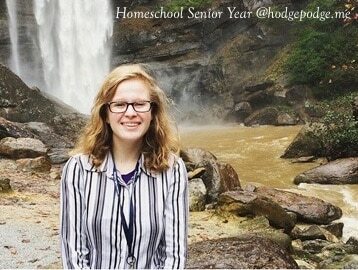 Thanks for helping keep Hodgepodge running! Please see our disclosure policy. 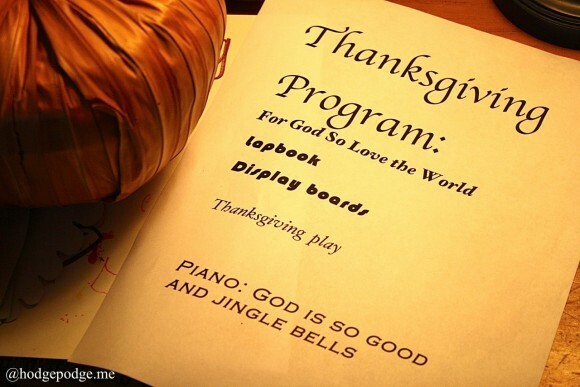 Since we will have a captive audience in grandparents, we will do our annual Tapestry of Grace Thanksgiving Homeschool Celebration (play piano pieces, present history display boards and oral reports/speeches, share science experiments) and the Thanksgiving Homeschool. See, having presentations and reports on Thanksgiving gives us closure and something to aim for – a deadline, a goal for each of our subjects! We’ve already counted and we’ll be half way through math for the year by the week before Christmas. Yay! Cranberry Thanksgiving and Charlie Brown say Thanksgiving to us! 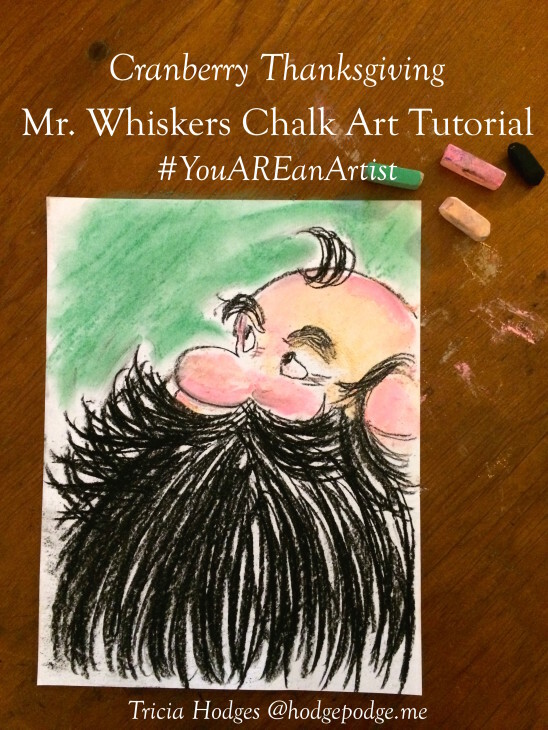 And here is a bit of Thanksgiving fun for you to enjoy: Cranberry Thanksgiving Chalk Art Tutorial, Mr. Whiskers Cranberry Thanksgiving Art Tutorial, Thanksgiving Chalk Art for All Ages – including Charlie Brown Thanksgiving. 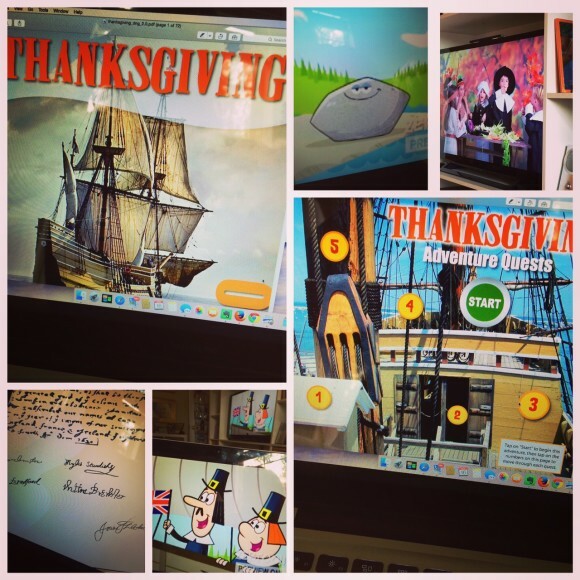 Thanksgiving Download and Go from Unit Studies by Amanda Bennett – Pilgrims, Plymouth Rock, Mayflower Compact, the first Thanksgiving – and that’s just from our first afternoon in Quest 1, yesterday! Head over and get yours at unitstudy.com and join the Thanksgiving co-op on FB. 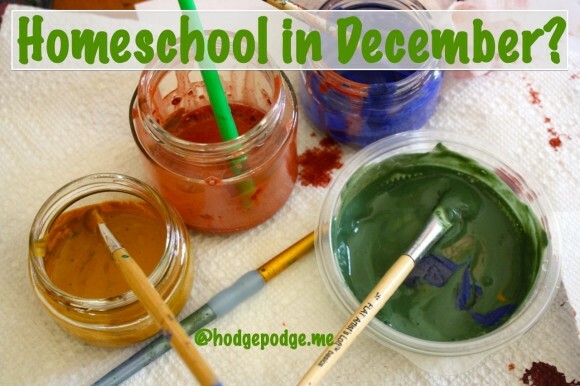 Christmas School – Do you homeschool in December? This is the way we approach it. Read an advent storybook. This year we will enjoy the newest in the Jotham’s Journey series: Ishtar’s Odyssey and we get to start it the Sunday after Thanksgiving! 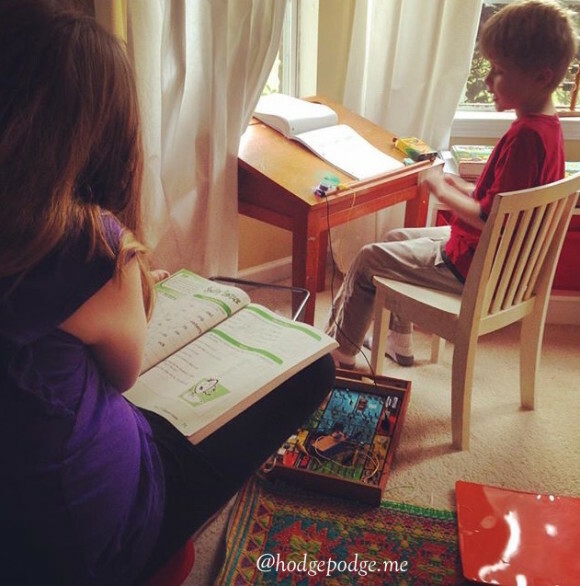 An update on our Imperfect Homeschooler’s Simple Guide to the College Search! Our eldest has now been accepted to her top two college choices! She has been offered a sizable partial scholarship to her first choice. So I am excited to see how the Lord will provide over the next months. Meanwhile, we pray and jump through all the upcoming financial aid hoops.
.) These two sets would make great Christmas gifts for your budding scientist! that Dave Raymond recommended. 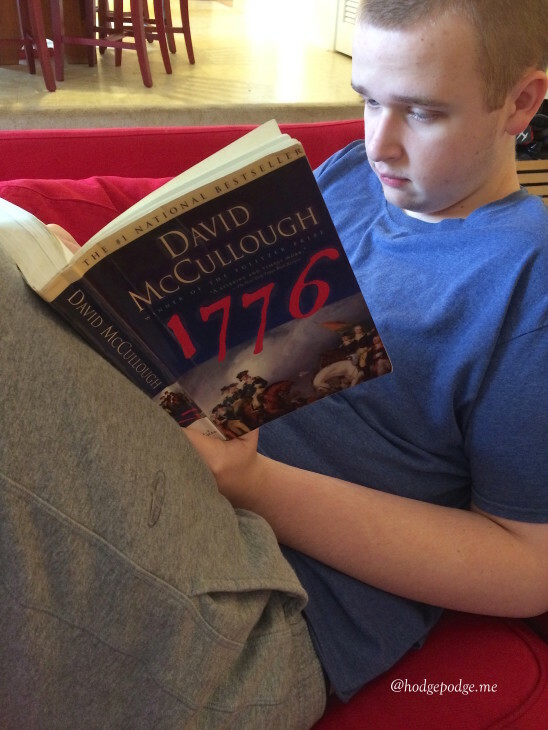 That would be Compass Classroom’s American History by Dave Raymond. Oh – and those pies at top? A photo taken several years ago at my aunt’s house. Here is our Allergy Friendly Thanksgiving Menu plus a Southern Cornbread Dressing Recipe (I’ll be tweaking to make it all more gluten free). Next week I’m also going to be hosting both an essential oils gift “make and take” get together and Thanksgiving at our house. What are you looking forward to? 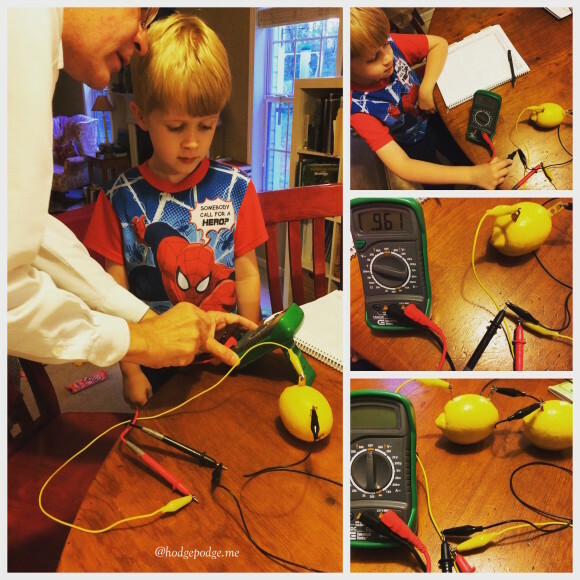 Linking up and sharing in the fun with Mary’s Collage Friday, Finishing Strong at Education Possible and Kris’ Weekly Wrap Up. How wonderful about your oldest on the college front! I’ll be picking your brain on that in another year or so. 😉 I forgot that y’all do that with the Thanksgiving presentation/celebration, but I love that you do. We are excited for her! It really is a fun adventure. I mean that! Yes, the Thanksgiving celebration helps us bring closure to lots of studies and helps us see all we’ve accomplished.